HITTING THE PAVEMENT: Gubernatorial candidate Joseph A. Trillo, a former Republican state representative who has owned several manufacturing and retail businesses in Rhode Island, is running as an independent in the Nov. 6 general election. 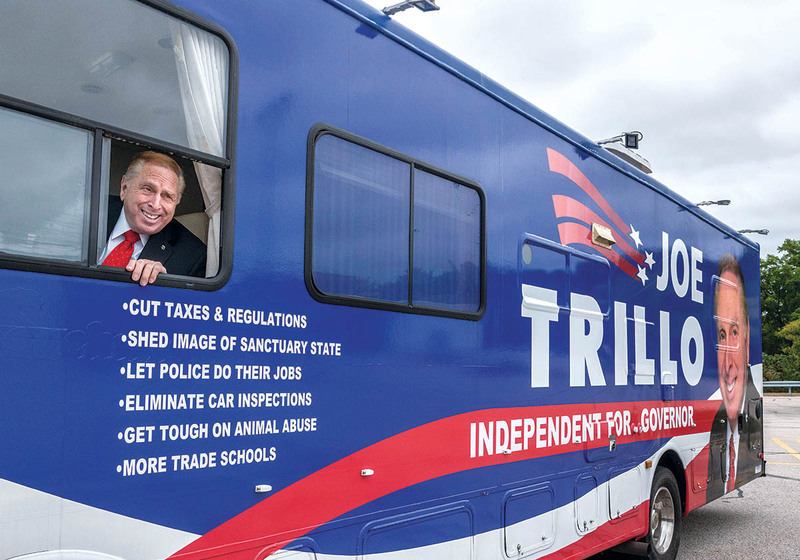 Trillo uses two buses and a truck to travel around the state and spread his message to voters. In a year of highly partisan politics, can independents boost political competition in R.I.?